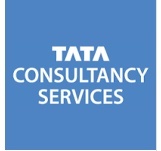 About Us:- TCS is an Indian multinational information technology service, consulting and business solutions company headquartered in Mumbai, Maharashtra. It is a subsidiary of the Tata Group and operates in 46 countries. 3 years relevelent experiance post Qulification IT Experance. Full Time cource must be applicable.